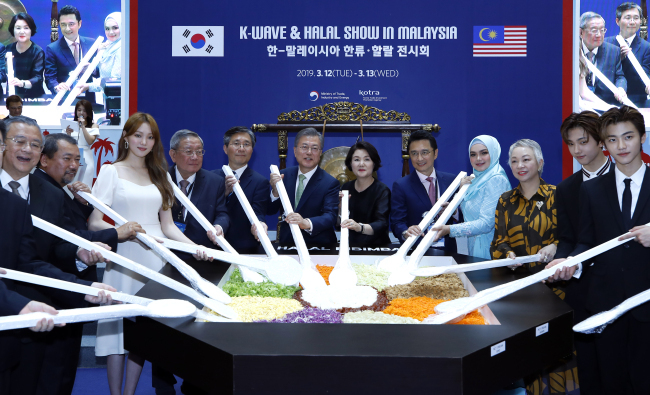 KUALA LUMPUR, Malaysia — South Korean firms have been eyeing the ever-expanding halal market for some years now, but technical difficulties in receiving certifications and lack of expertise in attracting buyers continue to remain major hurdles. 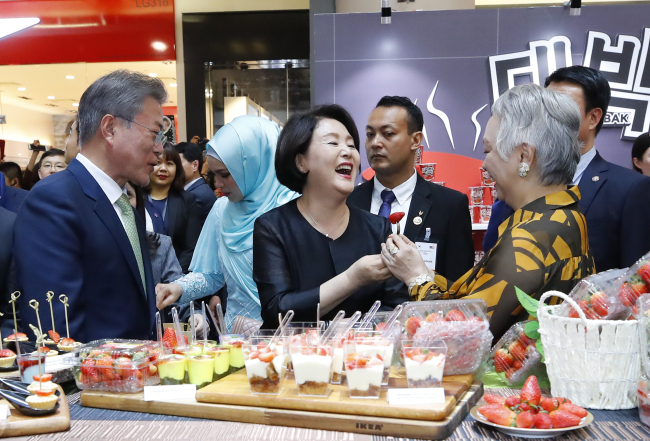 More than 20 local firms flew to Kuala Lumpur last week to participate in this year’s Malaysia International Halal Showcase — one of the biggest annual halal trade fairs in the world with participants from 700 firms in 46 countries — to showcase their products. Meanwhile, Japan has succeded in getting JAKIM to establish a halal central on its soil, ahead of the 2020 Tokyo Summer Olympics. A joint venture between Malaysian company Bangi Golf Resort food service and its Japanese partner Curetex Corp. will manage a “halal kitchen” that will supply ready-to-eat packaged food from this year to restaurants in Tokyo. It will cater to the needs of Muslim tourists and athletes set to visit Japan for the Olympics. “But it takes more time and money to receive JAKIM’s certification for Korean firms — costing around 15 million won ($13,136) per item including the travel fee for Malaysian officials. At the moment, it is the most plausible option for local firms to receive KMF certification first,” he added, explaining that KMF is one of the 66 halal certification bodies recognized by JAKIM.